This page provides details about other organisations who support the Code and are involved in its promotion. Also included on this page are providers who want to sign up to the Code - but don't yet have a website. If your organisation fits into this category, please send us your details, using the contact form at this link. Description: The CQC makes sure hospitals, care homes, dental and GP surgeries, and all other care services in England provide people with safe, effective, compassionate and high-quality care, and we encourage them to make improvements. 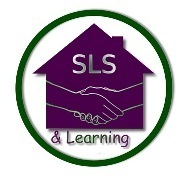 At Southdown, the Q-Team are a team of people with learning disabilities who check that Southdown's services are providing quality support and enabling people with learning disabilities to lead the lives they choose. The Q-Team therefore fully support the Driving Up Quality Code. The Kent Challenging Behaviour Network (KCBN) aims to improve the quality of services for people with intellectual disabilities who can present challenging behaviour and live in Kent by promoting and sharing best practice. The KCBN brings together professionals in learning disabilities and challenging behaviour through regular training, workshops and conferences, and by providing an opportunity to network through regular meetings and project work. Park View encourages people to take control of their lives and have a real belief in their potential. Park View helps improve the quality of life for everyone they work with, regardless of their ability. That means supporting people to achieve the things that matter to them most. Park View will be signing up to the Code once their website has been finished. 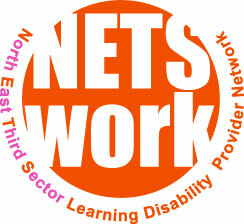 NETS(work)- the North East Third Sector Learning Disability Providers' Network. Description: NETS(work), the North East Third Sector Learning Disability Providers' Network, links third sector organisations which work with people with a learning disability. NETS(work) aims to support providers to offer choice and control for people with a learning disability, their families and carers in the North East. It also aims to influence policy which impacts on people with a learning disability and those that support them in the North East. Nick Ball,Key House, Tankerville Place, Jesmond, Newcastle upon Tyne, NE2 3AT. 07582 747343 07582 747343. Nick.ball@netswork.org.uk. http://netswork.org.uk. Description: Having an impartial and independent view can help organisations understand where they are succeeding and identify areas for improvement. DNV Healthcare can provide independent verification of your organisation’s self-assessment. DNV have provided external assessment and support services across the NHS and independent sector since 2000; their approach encourages and supports organisations in driving up quality, improving safety and sharing good practice. Contact details: For more information on independent verification of your organisation’s performance against the Driving Up Quality Code please contact DNV at: dnvhealthcare@dnv.com. Quality Compliance Systems (QCS) provides CQC care quality management to adult social care providers across the UK. The QCS care management systems supports care homes, dentists and GP practices in delivering high-quality, CQC compliant care. Derbyshire Carers Association provides support and signposting to unpaid Carers. IDELO Ltd. is committed to providing a quality service of residential care based on the values of privacy, dignity, independence, choice, rights, fulfillment, equality of opportunity and the enjoyment of life. An innovative organisation changing the way support and care is provided to adults with LD and other associated disabilities. We offer Care Leavers a stepping stone into society by offering support with life skills and emotional intelligence training, which gives them the tools and confidence they need to obtain a job and maintain a tenancy in the community. Alee Care is a family-run health and social care provider working in the Domiciliary care sector and the provision of temporary healthcare staff to various institutions. Delivering affordable live-in carers to the elderly by way of a mature type of au pair. Affordable and proven effective alternative. Regions supported: East of England, London, Midlands East, Midlands West, North East, North West, South East, South West, Yorkshire & Humber. 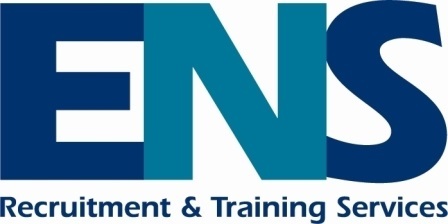 ENS is an established community support provider in the Essex and London area, with over 23 years of experience. We aim to provide the highest quality support in a flexible way, designed to meet individual needs. We are CQC registered for domiciliary and nursing services, and work alongside local councils, housing associations and also with people with Direct Payments or who are privately funded. Regions supported: East of England, South East. Care Quality Assurance is an organisation committed to supporting users of all CQC registered services, by providing thorough and independent audits, assessment monitoring and ratings improvement.